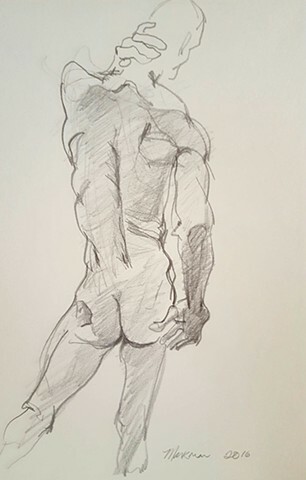 This was a quick pencil line/gesture drawing done from a live model. It is signed and dated. It is not framed or matted. It should be framed and matted for protection if you purchase it.